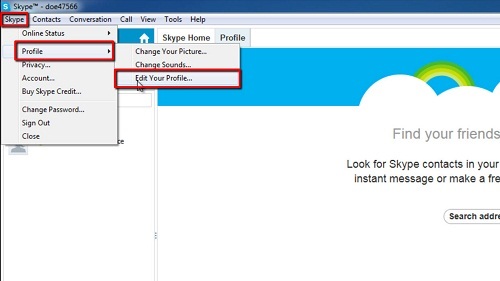 In this tutorial you are going to learn how to change your Skype display name. 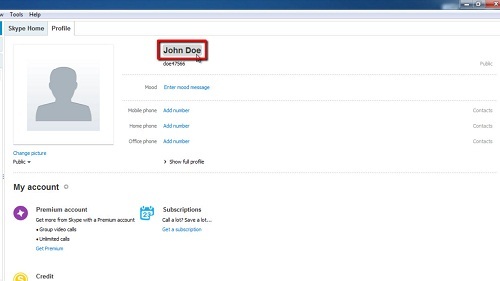 This is the name that is displayed when you are signed in to Skype and on your contact information in your friend’s contact list. It’s not possible to change your “Skype name” itself without creating a new account. Contacts and other account information are not transferrable between Skype accounts. Open the Skype application and sign in to Skype using your Skype credentials. From the menu bar, select “Skype -> Profile -> Edit Your Profile…”. Your details will appear in the right hand section of the Skype window. Select your Skype name, found near the very top of this window. An edit box will appear around your name. Make any necessary changes and click on the “tick mark” icon to save your new Skype display name. This is how to change your Skype display name.